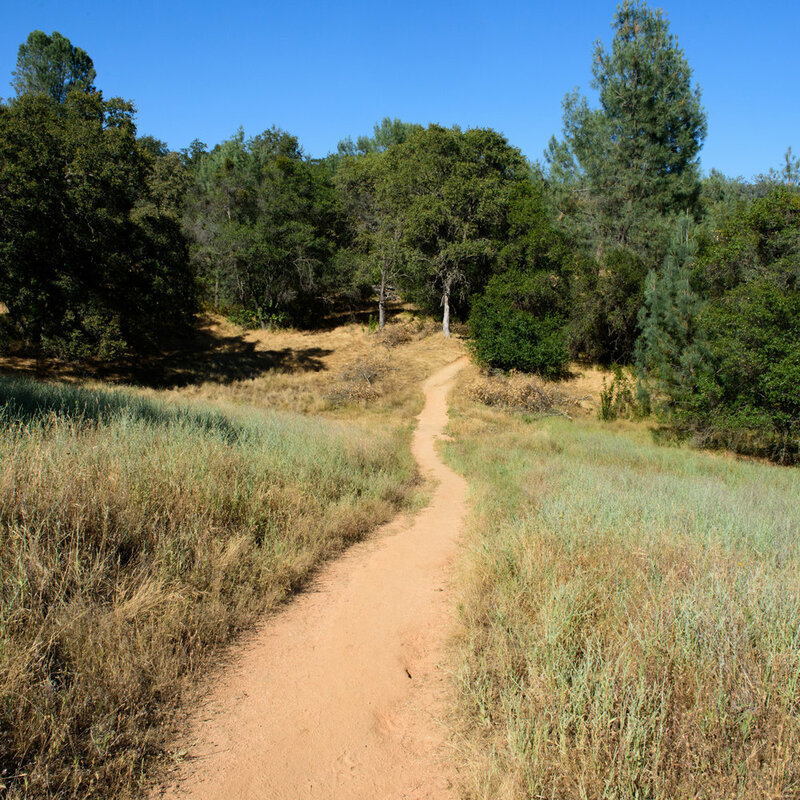 The trail, which began at the end of Rattlesnake Road, stretched out in front of me through the almost dry grass. The tracks of either a snake or a lizard zigzagged across the soft dirt path. 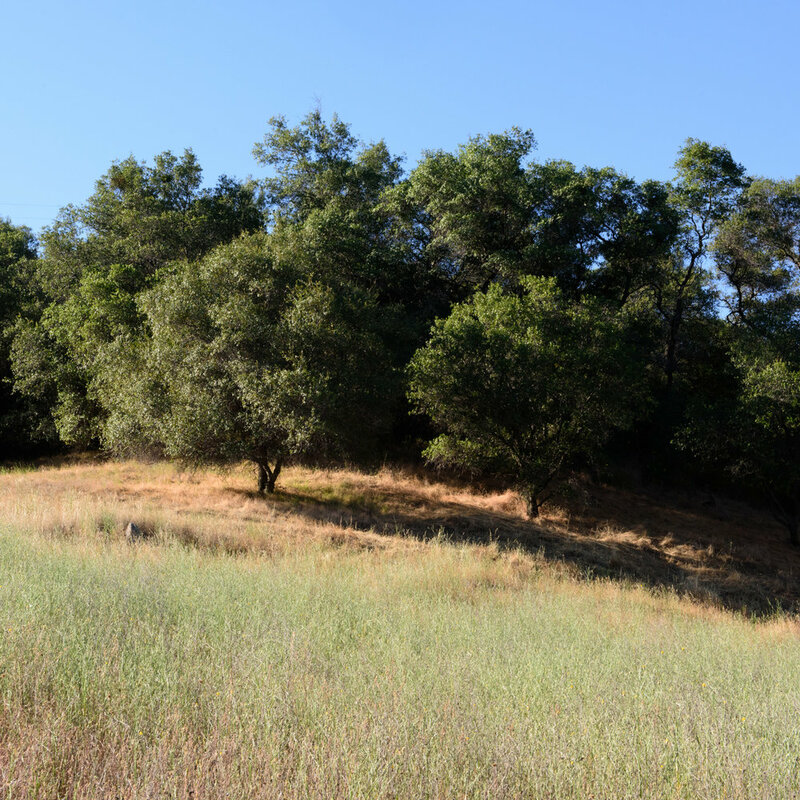 Even though it was already late afternoon, the near-solstice sun was still hot and the shady patches of oak and manzanita woodland were welcome. The day’s adventure had begun. 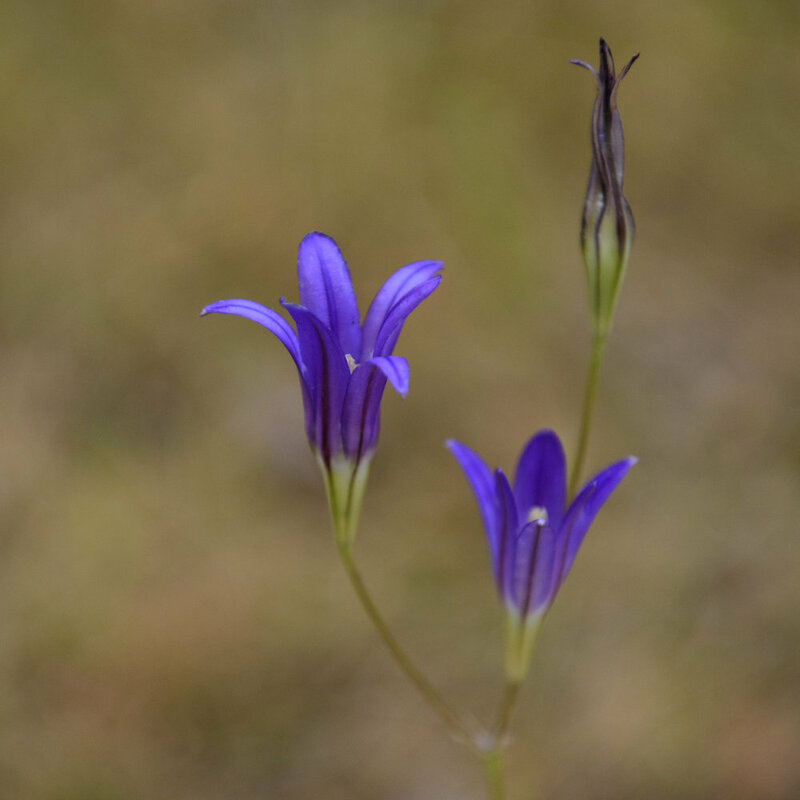 Central California foothills in June: I love seeing these purple flowers surrounded by gold grasses. 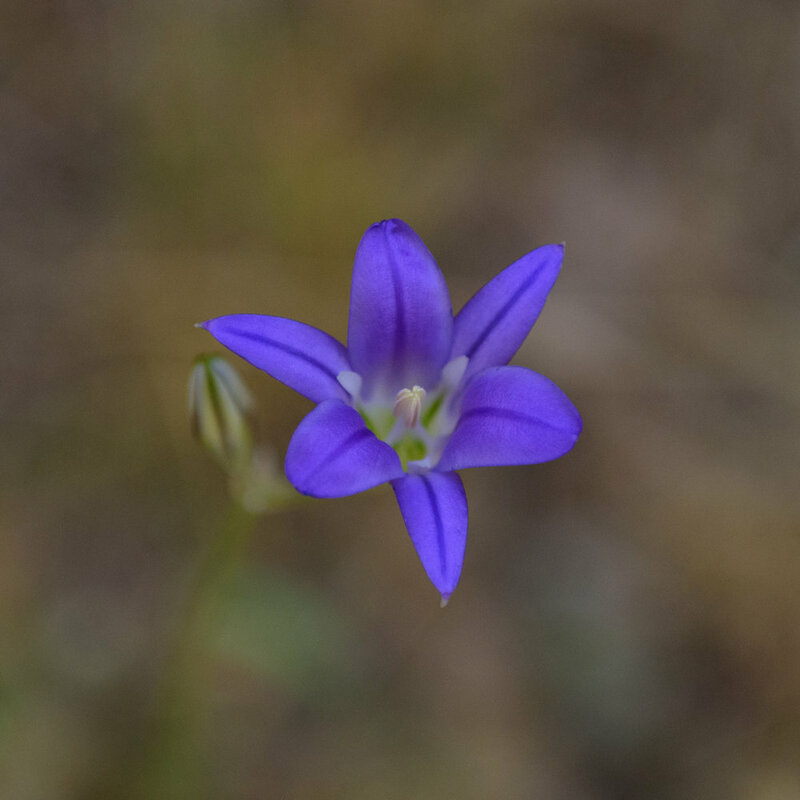 They are some of the last holdouts of this year’s spring wildflower displays in the area. Most of the others, along with the grasses, have dried out under the long hours of harsh June sun. 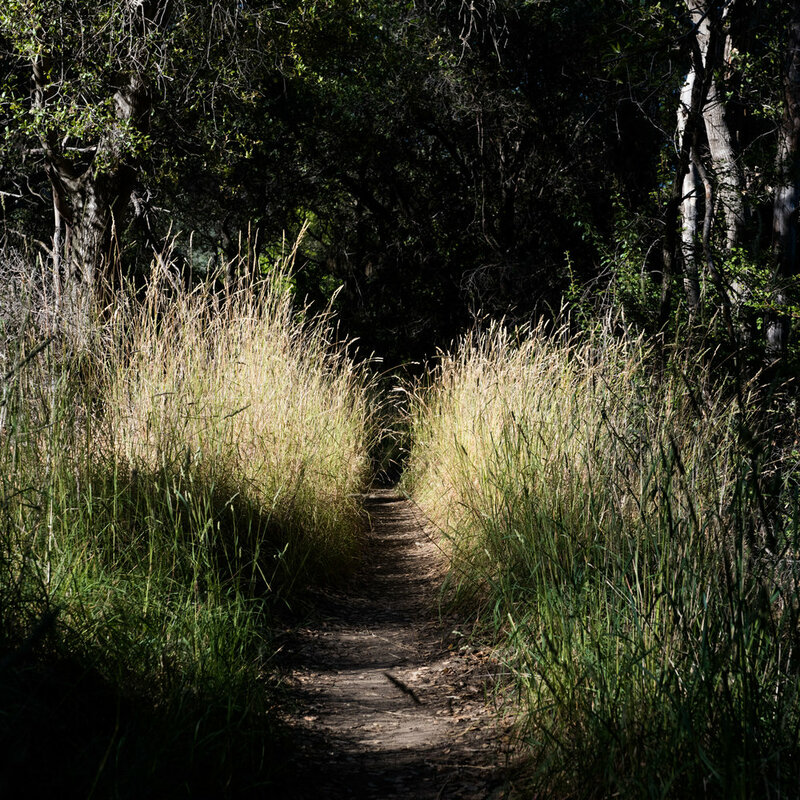 I’ve been going on my own series of small adventures lately: working my way through all the hikes in a book called “Easy Hikes Close to Home Sacramento”. Since I’m new to the area I didn’t have a clue where to begin exploring nature so I got the book. Because of my recovering ankle I needed a book of shorter hikes. I decided to do all of the hikes in the book, without judgment, whether or not they sounded enticing on paper. I’ve only got a few more left. Each hike has felt like a complete surprise. None of them have been quite what I expected and this endeavor has been a hundred times more rewarding than I imagined. I’ve discovered so many new “favorite wild places.” I hope to complete the remaining hikes this week. Next I’ll be moving on to a new book of slightly longer hikes and I may head further into the mountains to catch some of the alpine wildflower season. I hope my ankle is ready for the challenge.